The Boy Meets Girl name continues to spread, as we introduce our speed dating concept to another new city. This time it’s Sheffield that has jumped aboard and we can’t wait to bring our unique speed dating nights to South Yorkshire! Hot off the heels of Newcastle Under Lyme, we’ve again teamed up with Revolution Bar to host our events. The national chain of specialist vodka bars is a vibrant and lively bar based at the cool West One development, where West Street and Division Street meet. The venue is fun and bright and split over different levels and rooms, each with a unique feel and decor. Our events will be run in The Hidden Room, a sophisticated private bar and lounge area, complete with comfortable leather sofas and dark wood furnishings. The decor creates a grown-up but laid-back feel; an atmosphere well suited to cosy conversations on the couch, over a good drink. We think the setting is perfect for our Sheffield speed dating events; a secret space of our own to get to know one another. 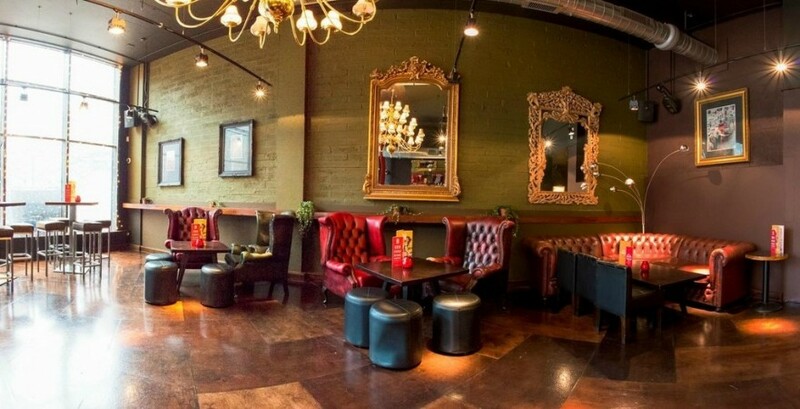 Revolution Bar Sheffield knows how to show you a good time; from 50% off on selected food on a Monday to 2-4-1 cocktails every Friday 5-7pm. They are party specialists with packages available for birthdays, hen and stag dos, corporate events and festive bookings. Their cocktail making master classes are second to none, and now paired with nibbles to compliment the drinks you are making, you can’t go wrong. For something really different check out the Mojito Box – everything you need to make these classic cocktails yourself, delivered to your table. For more information about the venue visit www.revolution-bars.co.uk/sheffield or their Facebook and Twitter pages. If you are interested in our Sheffield speed dating events visit our events section.